As a ranch, we strive to establish a reputation for producing top quality horses capable of winning the NRHA futurities and derbies, as well as continuing on to a career that boasts titles, points, money earnings and can attest to the horses’ longevity in the show pen. After their show career, we hope to witness the horses’ further proving their value through production of successful offspring. We also wish to excel in the sales ring with horses that reflect our integrity and can provide their new owners with triumphs over the accomplishments they seek. There are many qualities a champion must demonstrate. At Darling 888 Ranch, we place great importance on finding and developing prospects with proven bloodlines, excellent conformation, a willing attitude and quiet disposition. Our program guides and refines the natural athletic ability our horses posses. The combination of our custom training programs, dedication to the horses’ overall care and state of the art facility allows us to unlock their genetic potential and reach their peak performance. 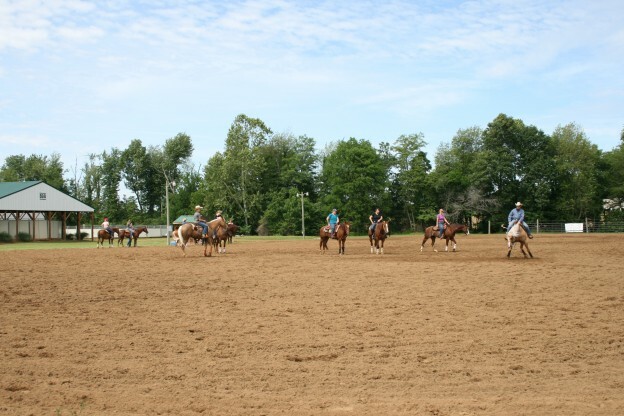 Training & Showing Reining horses across all divisions of the NRHA including Open & Non Pro. We not only have a strong Futurity and Derby program, we also have a strong passion for coaching Youth and Non-Pro riders of all abilities. From green reiner and rookies all the way up to Non Pro and Open riders. At Darling 888 Ranch, we have a diverse group of trainers and assistants with a common goal. The variety of backgrounds, levels of experience and training methodologies gives us a great advantage. We are able to take the time and focus on each individual horse, discovering their personalities, strengths and weaknesses. From this we can customize a training program to maximize their chances of success. At continual intervals the horses are evaluated by the head trainer and programs are adjusted so as to set and achieve realistic goals. 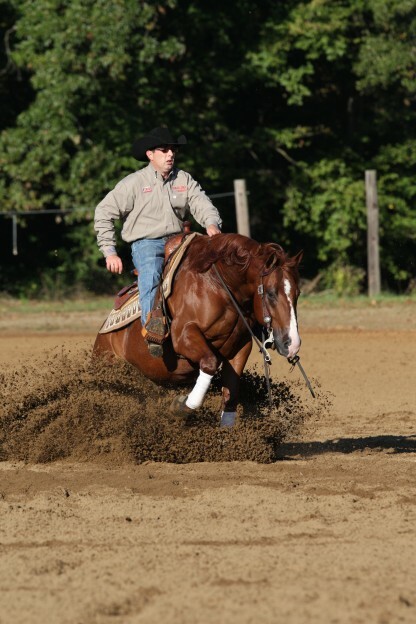 Darling 888 Ranch also offers colt starting with an emphasis on the horses education to create a solid foundation and sound mind to not only allow horses to progress in their training as reining horses but also any other chosen discipline. We take great pride in how we start, maintain and educate our horses. Dr Travis Luna is also able to assist at any time to make sure that all aspects of your horses health are taken care of during their time here at Darling 888 Ranch. Including but not limited to nutritional evaluations and worming schedules to keeping backs and joints in the best possible condition.